1. When we look around at the world we can easily be overwhelmed by the size of the need. Yet, today there are 667 million “Great Commission Christians” out of a world population of 6.2 billion people (source: World Evangelization Research Center). In other words, approximately 1 in 9 human beings alive on the earth is a “Great Commission Christian.” This means that God really doesn’t need you or me or our ministries. He has hundreds of thousands of churches and ministries around the world, and hundreds of millions of sons and daughters who can do the job for Him. If you disappeared tomorrow, it is not likely that the cause of the Kingdom would suffer too much! However, what was the situation when Jesus walked the earth 2000 years ago? How many “Great Commission Christians” were there then? Arguably, only one – Jesus! Thus, Jesus had no option; He had to succeed. The future of the Kingdom of God entirely depended on Him! No one else could do it. If He failed, it was all over. Can you imagine the pressure He was under? Here’s the contrast. We are overwhelmed by the need around us and our thoughts are usually along the lines of: “The need is so great we have to train thousands of leaders! How can we set up a ‘production line’ of some kind so that we can produce the multitudes of necessary leaders quickly?” And whether we live or die does not mean that much – honestly it doesn’t. But when Jesus looked at the need, instead of thinking of production lines He chose 12 men! That was His response to the incredible need that He faced. Surely we can learn from His example that it is far better to do a lot with few, than a little with many. In response to a far greater need than we will ever face, Jesus’ focus was not on numbers, but on quality. He did it right! Jesus concentrated on building only a few leaders. 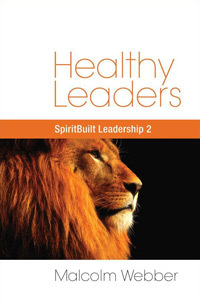 He built only 12 main leaders who would head His entire organization that would change the world! This was the model He gave us. 2. We have seen that Jesus varied the relationships that He had with His followers. He did this intentionally to develop the various kinds and levels of future leaders He needed. He knew what they were going to do in the future and adjusted His building strategy and relationships accordingly. He did this intentionally; we should too. One cannot build dozens of successors, only one. One cannot have scores of intimate friends, only a few. One should not have a top leadership team of hundreds, only about a dozen. 3. It would be appropriate in our situations, for leaders at many levels in an organization to follow this model to some extent. 4. The exact numbers are not the point, although they should be fairly close. You might have two or four intimate friends, but you will not have twenty. 5. The top levels of future leaders that we pick must be the right ones. There is no room for error regarding their callings in God. This is why Jesus spent so much time in prayer before calling His leaders in the first place (Luke 6:12-13). He could not afford a mistake. He only had three years; He couldn’t do it twice. Neither can we! 6. This is not only a developmental model but also an effective long-term leadership structure. 7. In Jesus’ model we also see the intensely personal nature of leadership development – particularly at the higher levels. Jesus did not have a merely professional relationship with the leaders He was building. They were His friends. This was how Jesus built a leadership team that changed the world. This month’s recommended web page is Where Did They Go? by Russ Bredholt. The week of March 15, 2002 marked the six month passage of time from last September’s terrorist attacks. Russ Bredholt has done some reflections on a recent Gallup poll related to the church attendance bump after the attacks. This month’s recommended video is Raised from the Dead produced by Christ for All Nations. Authentic testimony of a man recently raised from the dead in Africa! Daniel Ekechukwu, a Nigerian pastor, had been certified dead and injected with embalming fluids before reviving three days later at a Reinhard Bonnke meeting. Read the testimony.